80% of your visitors will visit your website only once and never return. an average of 50% of your visitors will see only one page (usually the home page) and “bounce” i.e., leave your website. Who are they (age, genre, country, job…) ? What can you offer that is really special (that they won’t find anywhere else)? What do you like to see in a website like yours? What is our latest news? For engaging your visitors, an effective approach is to use pictures and call-to-action buttons. As they bring out emotions, images have a greater impact than words on your visitors. When you combine images with call-to-action buttons, you increase your chances to persuade your visitors to go deeper into your website and not bounce away. 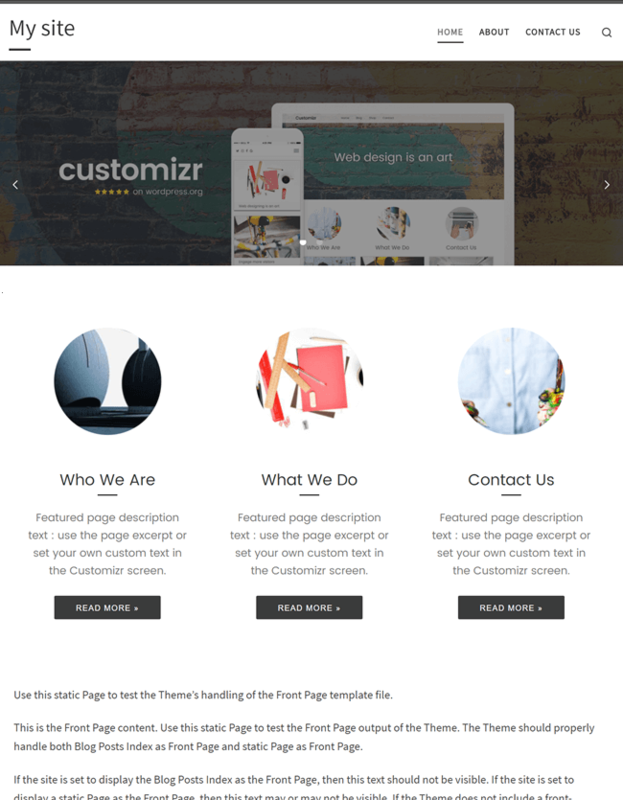 Customizr has been built with these principles in mind and the fact that it can be enjoyable to build a website! The theme makes it really easy to include pictures (in the slider and featured pages), text and call-to-actions. This will be a great help for better engagement of your visitors. 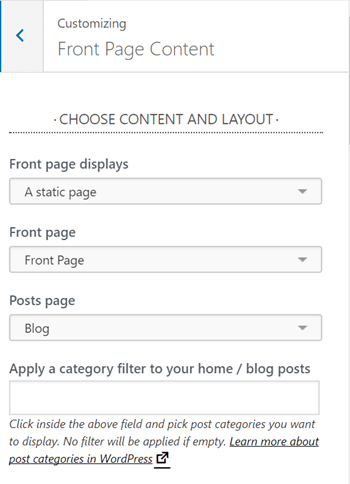 To create a posts page (blog): 1) Create a New Page, name it, leave it blank, Publish it. 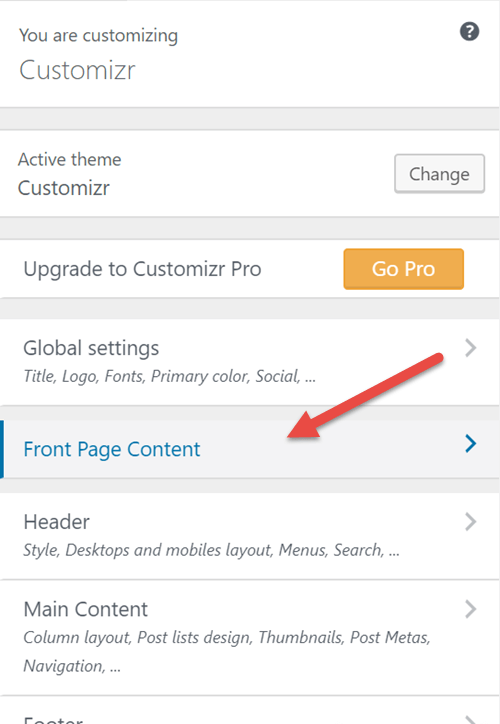 2) Back to the customizer and choose that new page from under Posts page listing. That's it. 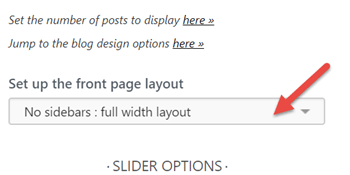 The content of the static page you chose will be displayed below the slider and the featured pages, if enabled. The posts page can be accessed through its url and it can be linked from the static frontpage. N.B. 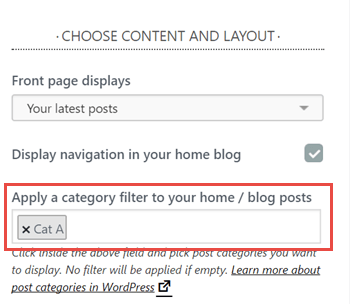 WordPress doesn't allow to have both a posts page and your home page displaying your latest posts. Your latest posts: This will display your posts ordered in reverse chronological order. Your featured (sticky) posts will be displayed first. N.B. 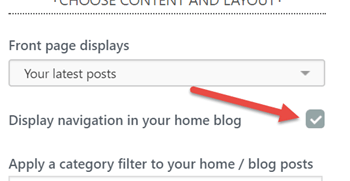 when the category filter feature is on the sticky posts will not show up as usual at the top of your home/blog list, they will be displayed as any other post. 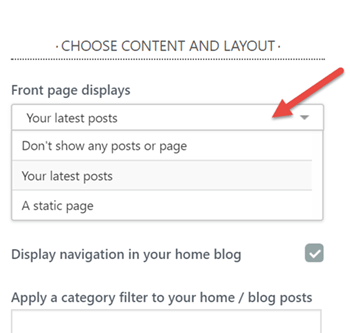 Don’t show any posts or page: With this option, you can choose to display only the slider and/or the featured pages on your front page. Right sidebar See right sidebar layout demo. Left sidebar See left sidebar layout demo. 2 sidebars : Right and Left See three columns layout demo. From the customizer click on Front Page Content. Demo slider Click on Create a slider and actually create a slider now. 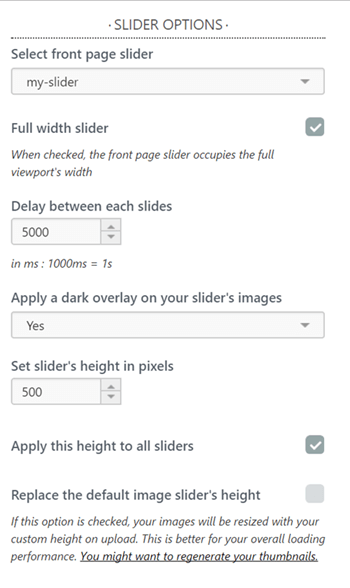 Auto-generated slider from your blog posts Do not bother with slider creation. 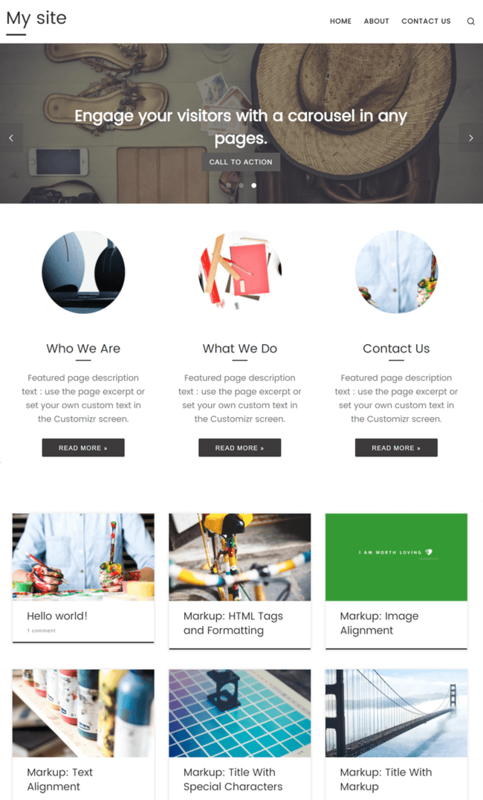 Let Customizr do it for you with your latest blog posts. Just choose the number of posts to show, the kind of posts to display, whether title and excerpt should be shown, where to link the post and the button text. Enable or disable the featured pages from your front page. 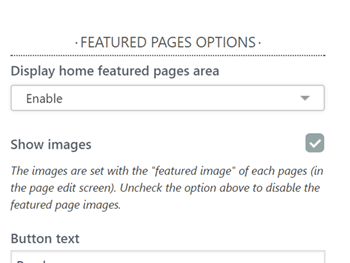 Featured pages are enabled by default. Check/uncheck the Show images option for featured pages. The image displayed for a featured page is the one set as “featured image” for your page. (Note: If you did not set any featured image, the theme will select the first image included or associated with the page.) If there are no images at all associated with the page, then a holder picture will be displayed. Edit the text displayed below the image. By default, this is the page excerpt.